The 3rd Annual Kernodle Brothers Tag Team Tournament returns to the Mid Atlantic Sportatorium in Gibsonville, NC on May 3rd & May 4th and hosted by Don & Rocky Kernodle!!! 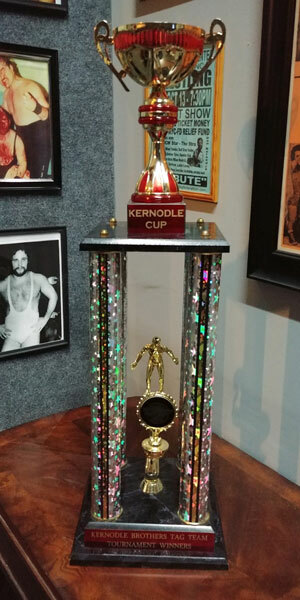 This special 2-night event will feature teams from across the United States that will battle it out over two nights to claim the Kernodle Tag Team Tournament Cup to be presented by Don & Rocky!!! 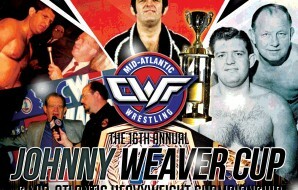 The winning team will also automatically qualify for a future shot at the Mid-Atlantic Tag Team Titles. This year will be even more special as we celebrate Don Kernodle’s 69th Birthday both nights!!! It’s going to be twice as nice with birthday cake and more surprises each night!!! 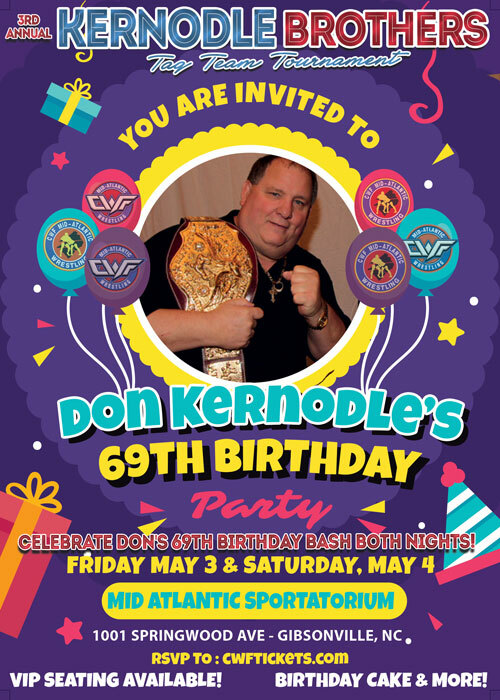 Come and celebrate this special birthday with Don Kernodle!!! At least 10 teams will be officially accepted for this year’s tournament. BitDon ICO automatically earn the #1 seed at the reigning Mid-Atlantic Tag Team Champions. Redemption won a special shoot-out match for the #2 seed. The All-Stars are have also been selected as the #3 seed. The All-Stars made the finals for both 2017 & 2018.